Seniors can enjoy the show free of charge without the crowds expected at performances over the weekend. Free transportation to and from the Darien High School is also available through At Home In Darien. Using volunteer drivers in conjunction with their professional drivers, At Home In Darien has arranged for transportation at about 6:30 p.m. Seniors can be picked up at their homes and will be returned home safely after the show. 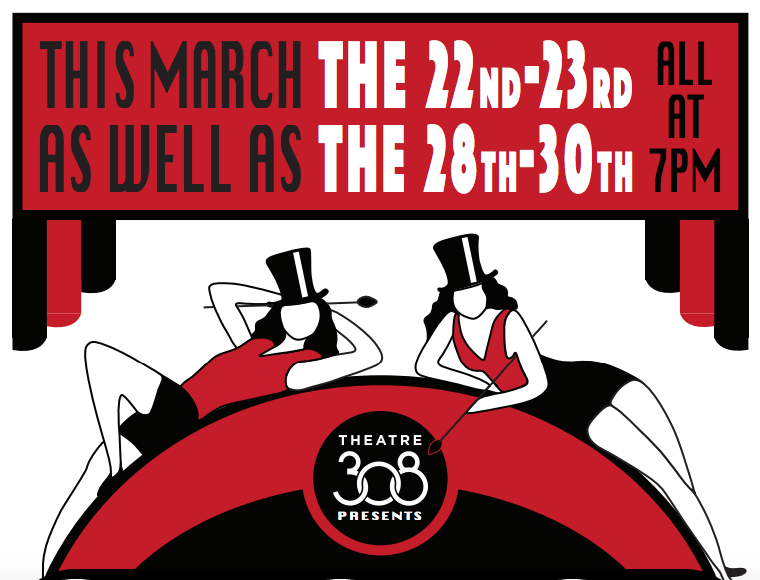 Theatre 308 will present the longest running American musical in Broadway history, Chicago, the winner of six Tony Awards for its revival in 1996, takes place in the roaring twenties, a time of great political corruption and media sensationalism. Failed vaudeville performer Roxie Hart murders her faithless lover and convinces her hapless husband, Amos, to take the rap — until he finds out he’s been duped and turns on Roxie. Convicted and sent to death row, Roxie and another “Merry Murderess,” Velma Kelly, vie for the spotlight and the headlines with help from Chicago’s slickest lawyer Billy Flynn. For more information, and to reserve a seat and transportation to and from the show, please call At Home In Darien at 203.655.2227. At Home In Darien is a non-profit 501 (c) 3 organization whose mission is to help Darien seniors live independently, comfortably and with dignity in their own homes and the community as long as possible. For information concerning services, please call 203.655.2227 or visit the organization’s website. Darien Library presents Libby Skala, winner of the London Fringe’s Best Solo Performer Award, in her new solo show, Irena Sendler: Rescuing the Rescuer, a heroic intergenerational story about the power of one person to effect change in the world, on Sunday, March 31. — an announcement from Darien Library The play starts at at 3 p.m. Music is composed and performed by Steve May. At Home In Darien in partnership with the Mather Center, home of Darien Senior Programs, is presenting "Healthy Living For Your Brain and Body," a Lunch and Learn program, on Tuesday, April 30. — an announcement from At Home In Darien The program will be held at the Mather Center, 2 Renshaw Road, from 12 noon to 1:30 p.m. All Darien Seniors are invited to attend this free event. 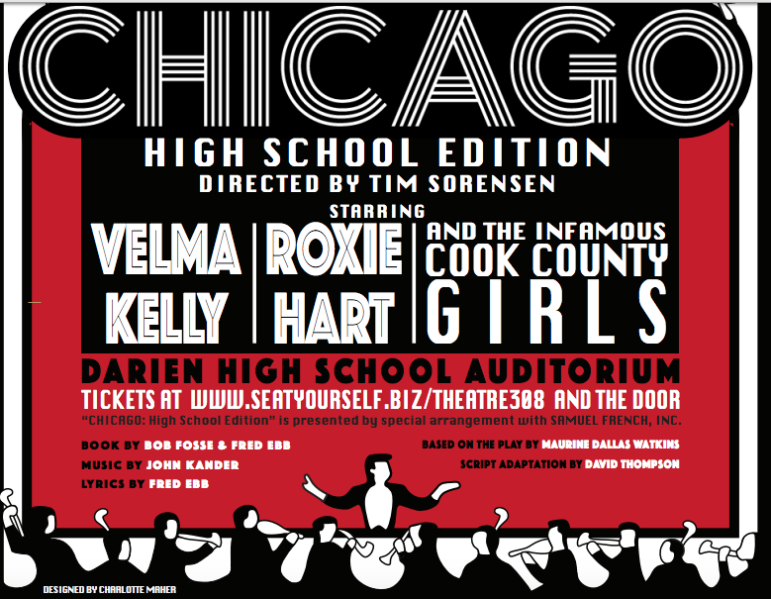 It would be criminal if you missed it: Darien High School’s Chicago the Musical! 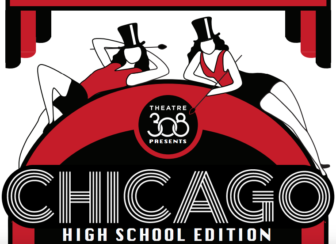 Theatre 308 will present the high school edition of the longest running American musical in Broadway history, Chicago, at the Darien High School Auditorium, March 22 – 30, 2019.